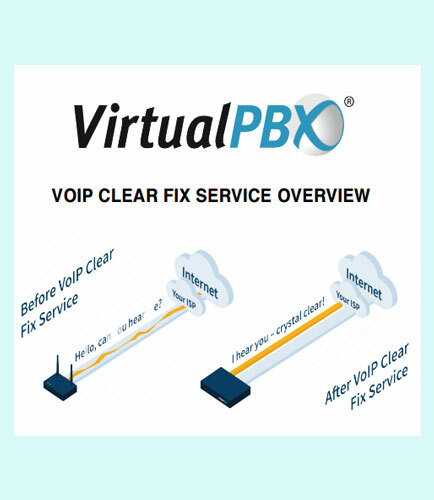 "VirtualPBX VoIP Clear Fix Service for Crystal Clear Voice Traffic"
VirtualPBX’s VoIP Clear Fix Service is the culmination of decades of experience building and servicing every component of VoIP platforms, and is the industry’s first and only brand-agnostic VoIP remediation service. VoIP Clear Fix Service keeps your network up and running by continually checking the health of all connected links and routing traffic around inactive or intermittent connections, no matter what. This whitepaper provides an overview of VoIP Clear Fix Service. What is Network security ?